An arson investigation has been launched in Chorleyafter a former children's home was deliberately set on fire. An arson investigation has been launched in Chorley after a former children's home was deliberately set on fire, say police. 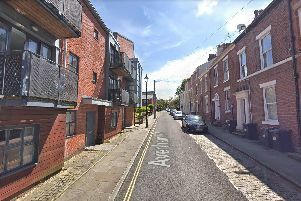 Three fire engines were called out to the fire at the derelict building on Highfield Road North at around 8.15pm on September 5 amid initial concerns that a person was trapped in building. Firefighters using breathing apparatus quickly established that nobody was inside the single-storey building. A spokesman for the fire service said: "We were called out to a disused children's home. "It seems that although the building was boarded up, somebody broke into the building and started a fire. "The fire was confined to one room, but there were concerns that children may have still been in the building so we conducted a search. "Firefighters equipped with breathing apparatus used a hosereel jet to extinguish the fire." Police are now appealing for anyone with information that may aid their investigation to contact them. A police spokesman said: "We were notified by the fire service of a probable arson incident in Chorley. "Anyone with information is asked to get in touch with us on 101 quoting reference SC1706815."